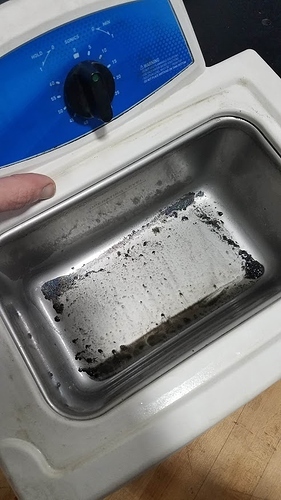 I cleaned an air filter in a sonic cleaner using water and simple green. I didn’t take photos before and after of the filters appearance, it was not a big change visually. But, sure did end up with lots of dirt in the bottom of the tank. This was the filter from my KT100. I have no idea how much time was on it. A friend was using the engine for enduro racing years ago. Reminds me of being a kid, and the bottom of the bath tub after a full day of riding dirt bikes. Looks like a good idea but think there is any concern for the “sonic “ part could break down the foam any? I’ll see, running it through the cleaner a second time today. The filter material is sandwiched between two mesh screens, then pleated and formed into a cylinder. Ends are over molded after that. I wouldn’t think the filter media is going to move. The filter itself is exposed to a massive amount of vibration in it’s application. Maybe to exposure in water and vibration can cause material to shift. Sonic cleaners are tough on soft materials (eg. aluminum) because the micro cavitation action that the cleaner induces can cause surface pitting. The foam may be elastic enough to absorb that, but not sure about the plastic components. 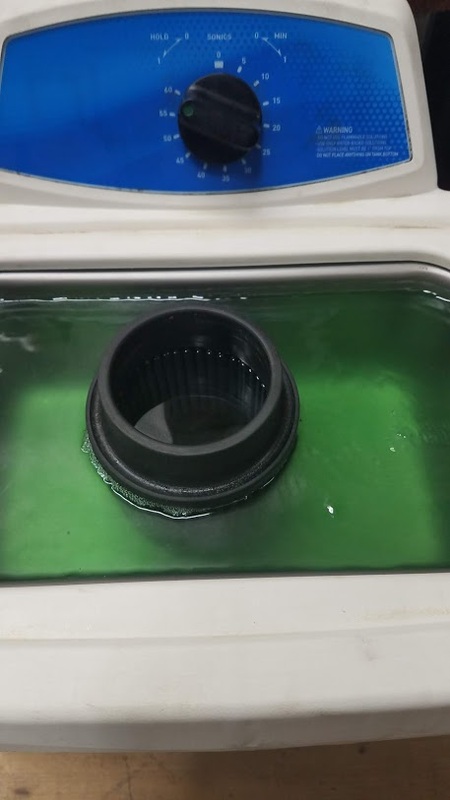 We used a sonic cleaner on air cooled engine pistons with 500 to 1000 hours. Mainly to clean all the carbon to measure ring land erosion. We would see micro pitting of the surface and discoloring. We did leave them in the tank for many hours though. We also added a powder cleaning media. It’s likely not only the heat or sonic cleaning that’s hurting the aluminum in the case with the Simple Green. Simple Green is fairly alkaline and will corrode aluminum. 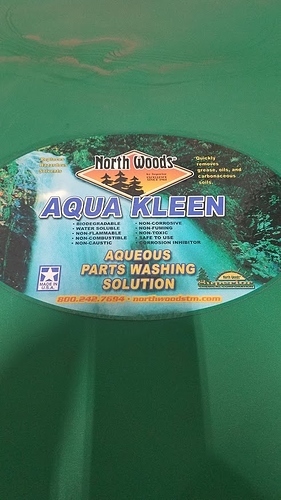 This goes for other aqueous degreasers, like Purple Power which i believe is even more basic (pH) than Simple Green. It’s basically the perfect storm of providing heat to accelerate corrosion, providing sonic energy for the cleaner to penetrate deeper, and to remove any corrosion-reaction byproducts. That was a lesson learned the hard way. Not going to do that again. Thanks for the added chemistry explanation Matt. Had a felling it was the SP to blame. Cleaned two sets of kart brakes last week in sonic cleaner with no issues, used our solvent from parts cleaning tank. We dilute it to the lowest concentration, 4 oz per gallon of distilled water, and set the temp on our cleaner to 150 F. It cleans aluminum incredibly well. We use it on carbs, engine cases, cranks, even cylinders, and it has never let us down. Just an added note, I don’t intend on re-using the air cleaning I cleaned. It was an experiment to see what would happen.